During my last visit to Israel I strayed from my usual pattern of vegetating at my parents house in Hadera and ventured some 200 and some miles south to the port of Eilat. We took the newly opened toll-highway which was built inland and bypasses the always busy shore cities of Natanya and Tel Aviv suburbs down to Ashdod /Ashqelon. This road parallels long stretches of the now famous fence that is being built as an attempt to contain terrorist infiltrations. The road took us then down to the level of the Dead Sea - the lowest dry point on Earth at 412 meters below sea level. The name "Dead Sea" was attributed by Christian Monks, astonished by the apparent absence of any form of life in the sea water. Recent scientific research however, discovered 11 types of bacteria in the water. you can even read a paper while floating in the water. There is a simple explanation for its excessive saltiness: salt is carried into it by river flow however since there are no rivers streaming out of the Dead sea, water can only leave the sea through evaporation (which is pure unsalted water). The salt therefore remains trapped. The sea is rapidly drying up. The tiny Jordan river which was one of its only round the year tributaries is captured upstream and used for decades now for drinking water for the burgeoning population. The sweltering heat causes a rapid evaporation (the Dead Sea's level decreases by 3 feet -1 meter- a year as it is not connected to the planetary ocean. This may also be aided in part by the huge evaporation beds built by factories extracting salt, bromine potash and other minerals from it’s waters. Interestingly the biblical cities of Sodom and Gomorrah were located on the southwestern shore of the Dead Sea. They live in tents and grow herds of sheep and goats and ride on camel backs or mules. They are mostly Moslem Arabs which traditionally lived a pastoral life and migrate over large areas of the Mideast. Interestingly they're not hostile to Israel and some even serve in the Israeli Army (see pictorial about their lives in nearby Egypt). 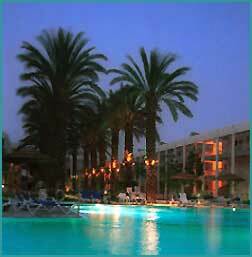 Nothing however has prepared me for Eilat, the southern-most Israeli port city, on the shore of the Red Sea. I haven’t been there in over 15 years and I was shocked by the dimensions of it’s development. Numerous luxury hotels have sprung in the past 5-10 years (Hilton’s Queen of Sheba , Herods, Dan’s being some of the better known chains). Eilat now rivals Atlantic City in it’s glitter. 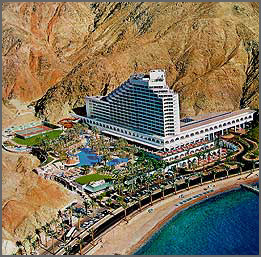 There are several Casinos which operate on ships outside of Israel’s territorial waters and depart daily from Eilat. (interestingly Casino Palace is the Former private yacht of eastern Germany's Erick Honeker while Casino Flamingo was one of the presidential ships of the Romanian's tyrant Nicolae Ceausescu).